Building a persuasive argument can be difficult for many presenters. It is easy to get lost in translation if you’re not sure about what are you looking for. 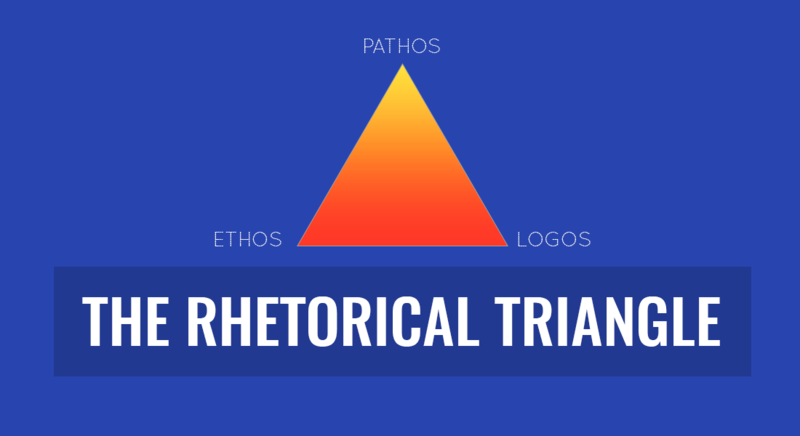 To make things easier, presenters can focus on three main aspects of building their argument using the Rhetorical Triangle Concept. 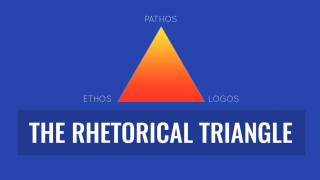 Derived from Aristotle’s three rhetorical appeals, the triangle consists of ethos, logos and pathos. This includes the speaker, message and the audience. 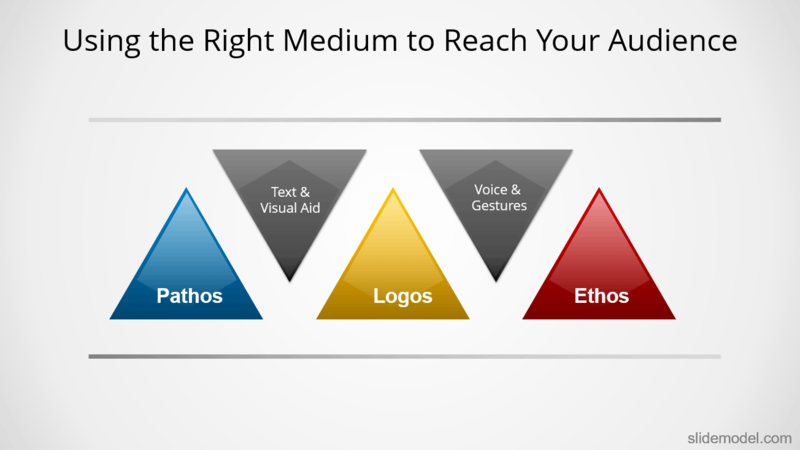 The Rhetorical Triangle Concept can help bring clarity in defining what the presenter needs to focus on and how to deliver the right message before an audience. The presenter must be aware of not just the precise message he/she is delivering but also the audience and the conviction of the speaker himself. It can be hard to convince an audience if you don’t have the high moral ground. 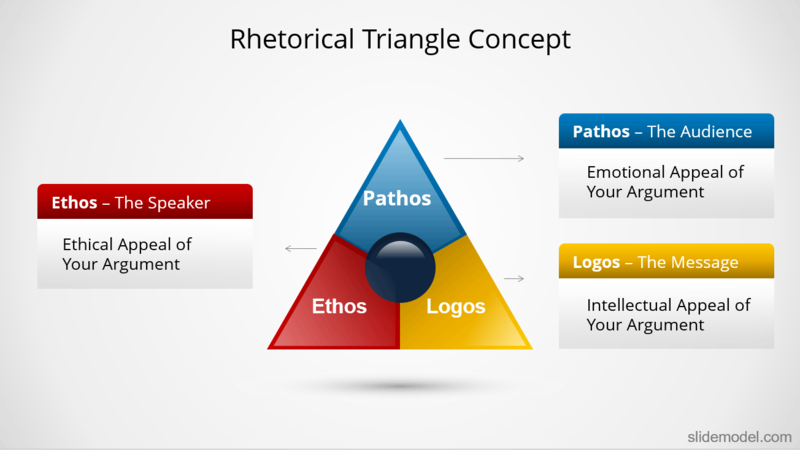 Ethos is therefore an important part of the Rhetorical Triangle Concept. As a presenter you need to focus on the ethical aspects of your argument, as well as have the necessary conviction to present your argument before an audience. It is quite likely that you will find it easier to convince your audience if they believe that you are ethically justified in your point of view. Even if the audience disagrees (e.g. due to conflict of interest), you are still likely to have their respect. For example, if you intend to convince a group of people regarding cutting down on plastic pollution by reducing consumption of single-use plastic items, they might have a bias since many of their favorite products might come only in single-use plastic containers, however, you might still win their respect and make them think. Hence, ethos plays a major role in building a persuasive argument. The most effective way to reach out to someone is to connect with them emotionally. Pathos or emotional appeal is therefore an important aspect of a persuasive argument. As a presenter, you must appeal to the emotions of the audience and try to connect with them on a personal level. A good presenter knows how to emotionally connect to an audience by discussing things which they can relate to. You can look for cultural aspects which might help you do so such as shared values or things which a specific group of people in a culture might find as a matter of pride. For example, talking about the heritage of an audience and their high moral values might win you some points, especially if you can connect them with your argument. Even when dealing with a group of heterogeneous people, you can look for similarities. If you are for instance, pitching your project to a group of potential investors, aspects like profitability can be your winning pitch, as no entrepreneur can ignore profitability. The point is you have to look for what really matters to your audience and try to link it with your argument. You can also create an Empathy Map for this very purpose to better understand your audience. When building a persuasive argument another very important thing to consider is your content. You must appeal to the intellect of your audience. In other words, you need to cater for logos or logic. In order to do that you can consider the reason for which you are giving the presentation and connect it with the hopes and aspirations of your audience. You can also look into research data to analyze the behavior of the audience, in order to understand what might appeal to them intellectually. For example, an audience interested in green energy initiatives will have environmentally friendly aspects close to heart and will be willing to invest time in trying to understand an argument, which might help in producing an environmentally friendly outcome. Similarly, a group of investors would be looking for returns on investment and profitability and the most appealing business idea which can logically provide a roadmap for reaching out to the targeted audience and increasing profitability. It is likely that different audience will have different interests, so you not only need to build an intellectual argument but also one that might interest your audience (pathos). 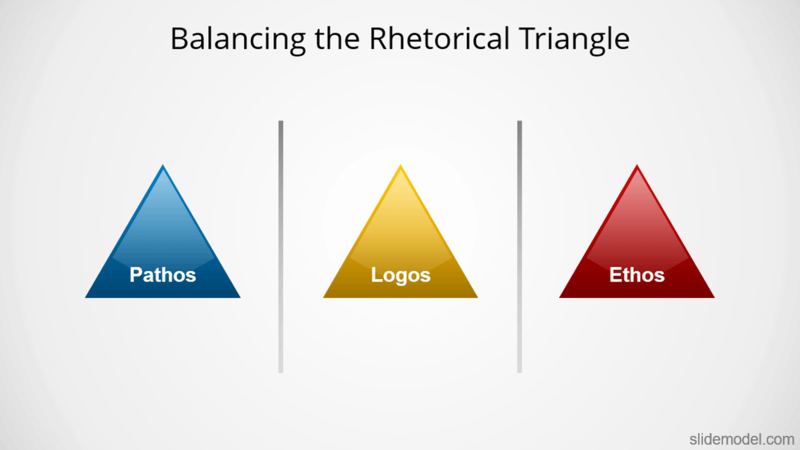 When considering the Rhetorical Triangle Concept, you must also make sure that your triangle is balanced. When considering the ethical, intellectual and emotional appeal tied to your argument, you must make sure you don’t overemphasize on one aspect unnecessarily. Trying too hard to cater for emotional appeal might make you appear manipulative and fake, whereas the emphasis on ethics without a sound argument will not win you any points either. Make sure you spend proper time on all three; ethos, pathos and logos, and come up with an argument that is balanced enough to get you the desired results. There are a lot of mediums you can use to reach your audience, using print, and electronic means. From a presenter’s perspective, this might be the difference between using more visual aid or using more text in slides or simply giving a speech without any visuals. As a thumb rule, it is almost never feasible to use too much text in your slides. Similarly, use of visual aid such as clipart, animations and infographics, too, has its limitations. Unless you have created a video presentation, it is recommended to use little text, complementary visuals and to ensure that your content is legible. The use of over the top animations and flashy visuals can be distracting. In fact, they might even cause a migraine for some people in the audience. It is best to use subtle animations, little text and illustrations which can be self-explanatory. You can also pretty much use the same rule to video presentations, with the addition of a voice-over. In the case of the latter, make sure to give a pause when explaining the context and pay special attention to your pronunciation of words to make sure that your audience does not find it hard to understand certain words which might be morphed by your accent. The rule for voice-overs is the same for giving a speech during a Live session. You should make sure that you are not hard to understand due to the way you speak and also ensure that the equipment does not cause any voice distortion. You will have to check the latter prior to the event beforehand. Don’t talk too fast or too slow, try to balance the speed, use pauses and emphasize keywords. It is also a good idea to use the rule of three by repeating an important word or phrase three times to make it memorable for the audience. You should speak clearly and in most cases plainly as possible. Unless you are in a room with experts, using technical terms without explaining their meaning or not using simple terms will make it hard for your audience to understand you. Your body language is also an important part of your presentation. While you might have the perfect pitch, if your body language gives the wrong signals, you will have a hard time convincing your audience. It’s not entirely true that using an aggressive body language is always bad. In some cases, such a body language might be used to motivate an audience or to pump them up to create excitement. However, you need to consider the context and the audience, keeping in you the ethos, pathos and logos. A formal presentation might require giving a calm body language by using gestures which are gentle and not aggressive. Keeping the palm of your hands in front of you is a good way to giving out a positive gesture, similarly, smiling often and using a calm tone can also help you gain some marks. 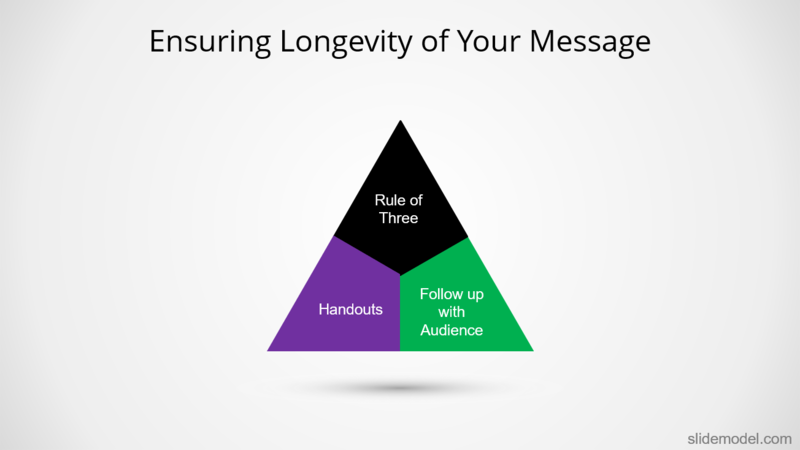 You also need to ensure that your message stays with your audience after the presentation. There are a lot of ways you can ensure this. A very simple method is to give handouts, be it printed handouts or by emailing them to your audience after the presentation. There are also a few web services which allow the audience to view your Live presentation and email the handouts automatically to the audience after the session is over. One such service is Beamium. You can also make your message timeless by uploading it on YouTube and sharing it across your social media accounts and with your followers. You can also follow up with your audience by sending them an email, survey or asking for their feedback. A sound argument consisting of ethics, logic and emotional appeal is hard to ignore. There are also other factors which need to complement these aspects. It can be hard to use ethos, logos or pathos if the audience can’t hear you due to an equipment malfunction or when your slides are just too distracting due to annoying graphical content. You need to also cater to the environment and do your best to make it comfortable and welcoming for the audience or at least be in a position where you can be heard and seen clearly. It’s not just technology or paper handouts that can make your message memorable, using the rule of three and catering for ethos, logos and pathos is the old fashioned way of making sure that your audience remembers your message long after the presentation.